Police first arrested Iran Jimenez on June 30 near his home on the 300 block of Elks Lane. On Thursday, Jimenez allegedly crashed into a parked car in the same block while returning home. Officers then arrested him for DUI and leaving the scene of an accident. 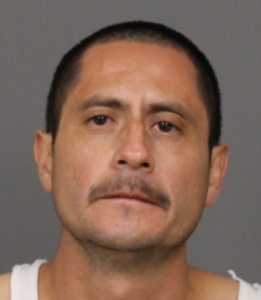 Then on Friday, Jimenez allegedly hit another vehicle at Higuera and Bridge streets, and officers arrested him again. Following his last arrest, he was booked in jail with his bail set at $5,000. Jimenez is not not currently listed as being in jail, according to the county sheriff’s office website. Police say Jimenez is not the registered owner of any of the vehicles he was driving during the incidents. No one suffered injuries during either of the collisions. Officers ask that residents call 911 if they see Jimenez driving. Me NO speaky english!.. maybe I’ll make a run for Gov. of calif. !! Kayaknut….I like your style! Maybe he could pick up some Bentley hub caps while he’s at it! I see a career in SLO County politics in this man’s future! Maybe Jimenez could borrow a Mustang from an employee of the Sherrif Department. What fun is the Mustang without having a loaded gun with you while driving too, he can borrow that also. CCN needs to find out this guy’s immigration status. It would be beyond outrageous if he is an illegal alien and is being protected from ICE by SLOPD. It may be outrageous but wouldn’t be unexpected, SLOPD has a history of protecting law breakers, if they are with the right group. CCN should find out his immigration status — I agree. However, I doubt very much the SLO PD is protecting him from ICE as SLO is not a sanctuary city and they are probably as pissed as the rest of us that he is back on the streets.